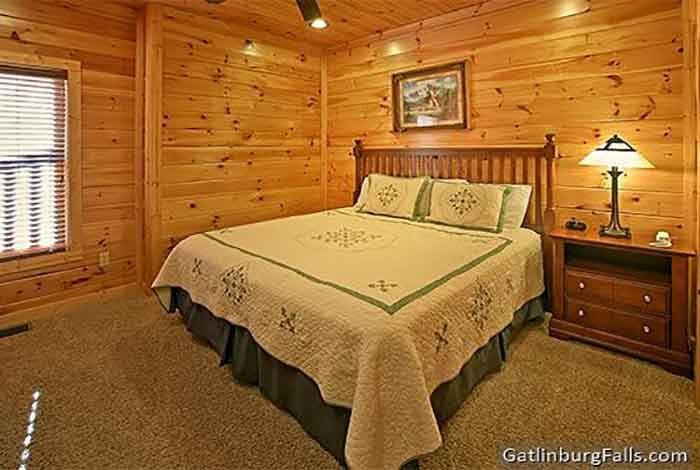 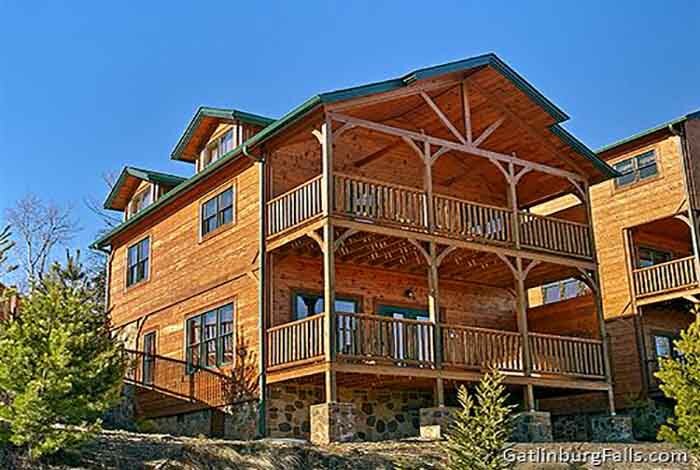 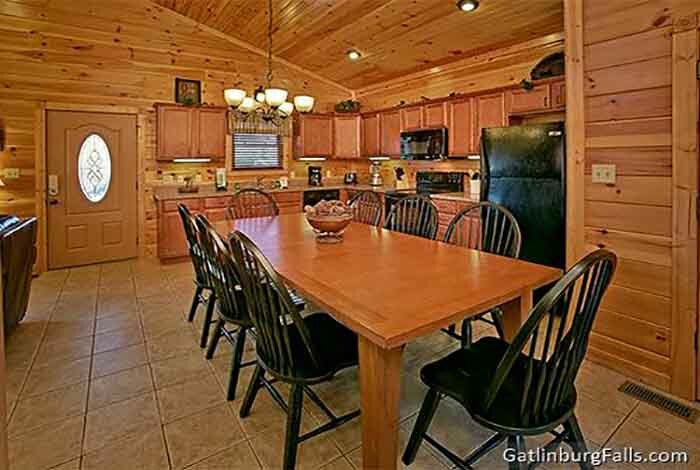 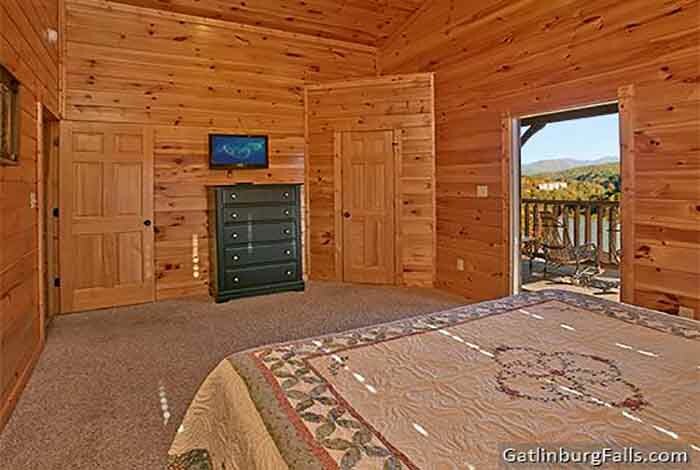 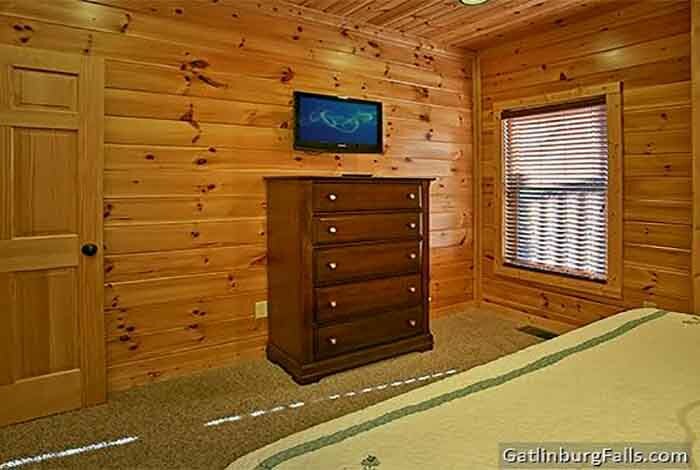 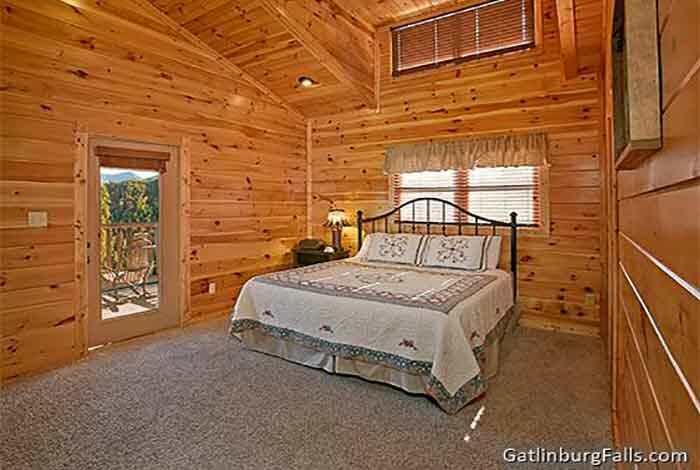 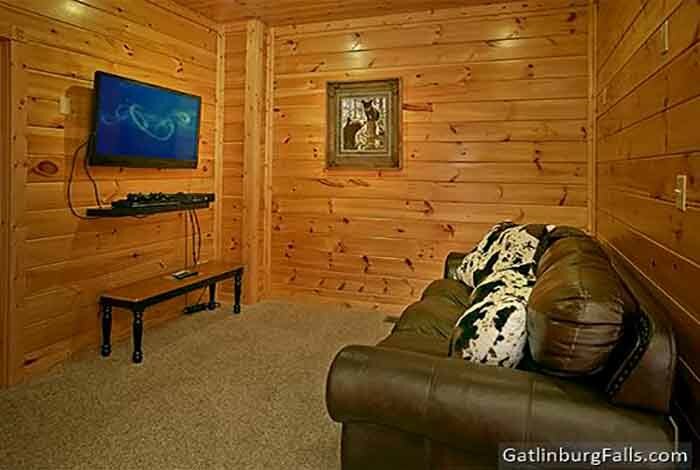 If you are looking to enjoy the Smoky Mountain vacation of a lifetime, look no further; this is the cabin for you. 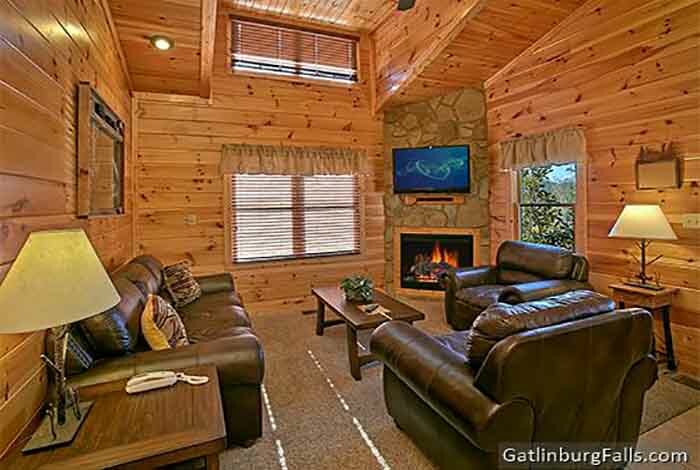 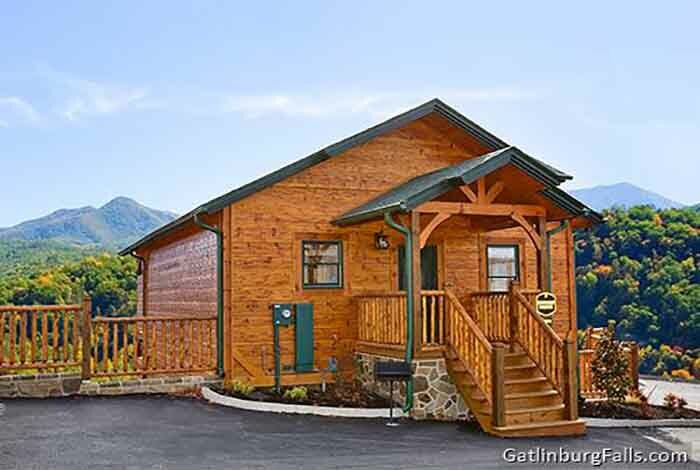 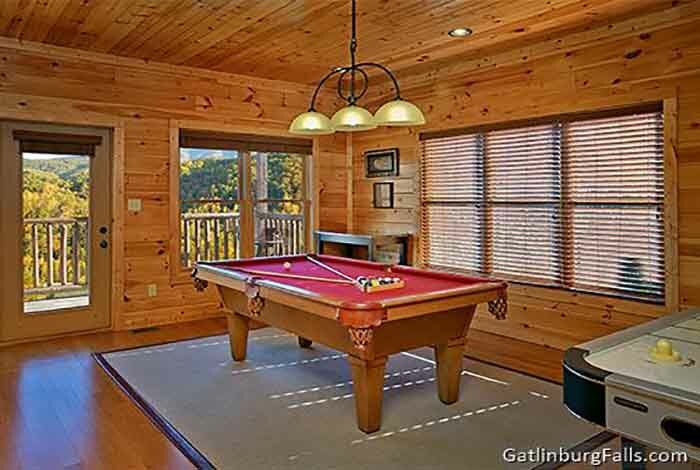 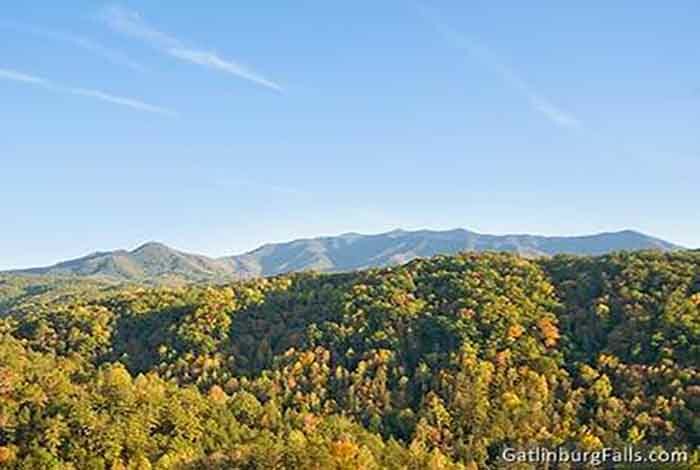 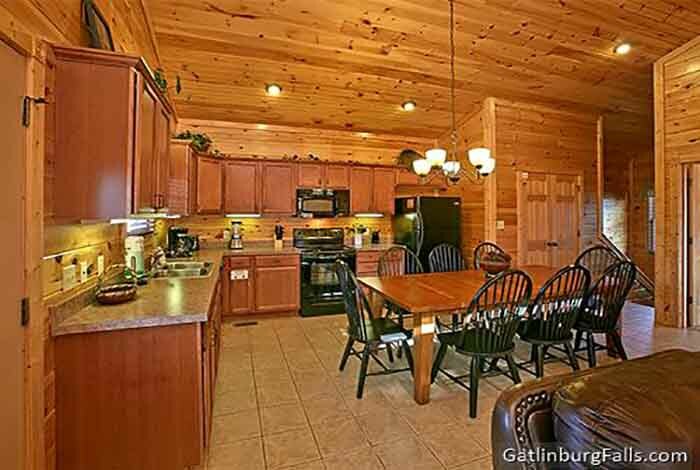 This 2 bedroom luxury Gatlinburg cabin rental makes for the perfect family getaway as it can comfortably accommodate 8 people and features amenities that guests of all ages will love. 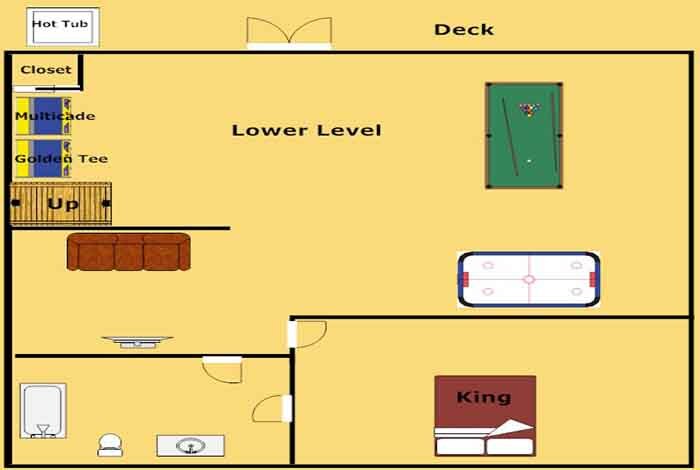 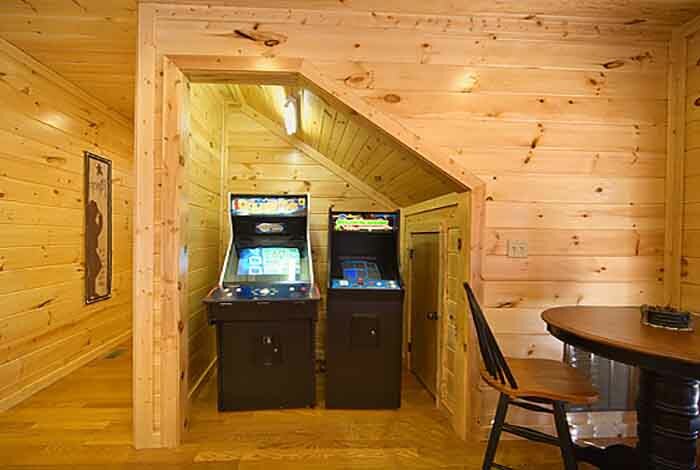 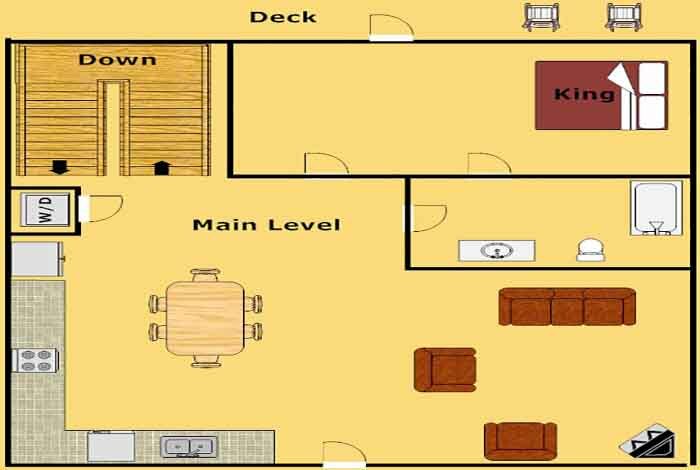 The interior features lodge-style furnishings, Wifi, fireplace, 3 flat screen TVs, full kitchen, and game room stocked with Pool Table, Air Hockey, Golden Tee, Ms. Pac Man/Galaga arcade game, and San Francisco Rush 2049 Driving Simulator. 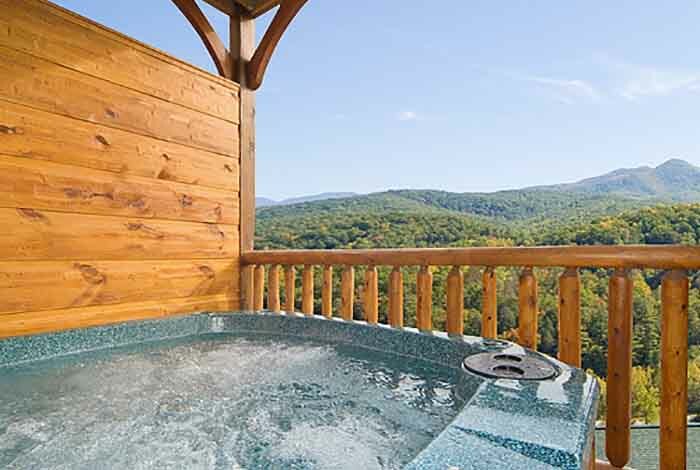 Step outside and enjoy the spectacular mountain views while relaxing in the Amish rocking chairs or hot tub, or enjoy the resort swimming pool and fitness center located near the welcome lodge. 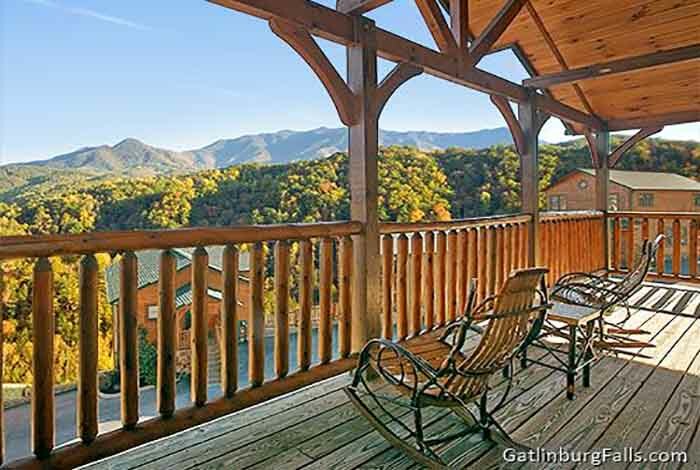 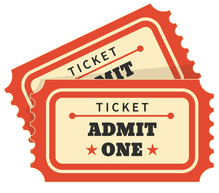 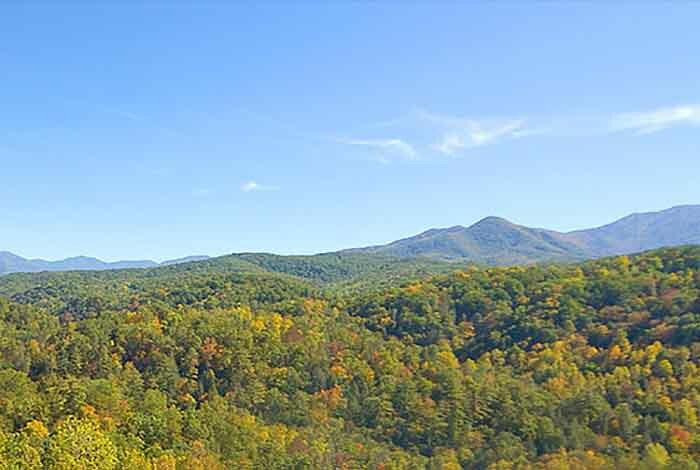 All while being located just minutes from downtown Gatlinburg and Pigeon Forge in the pristine Gatlinburg Falls Hidden Valley Resort.